For many years I’ve had a vision of how I want to be when I grow old and I’ve looked forward to this time in my life. I’m even a little excited to be an old woman. Sounds strange, I know. I think it stems from always having had a fondness for older people. Among other things, I like to observe how they have maneuvered through their lives and hear of the wisdom they have gathered along the way. In addition to this, I’ve always thought that older faces are beautiful. Etched with an amazing patina of wrinkles, they are a work of art. I think that aging is incredible and I hope that someday as a culture we will grow to understand this a little more. It seems that all the messages in our media are about the glorification of youth. It’s all about how to look younger, how to chase our youth. Hardly anyone is talking about the beauty of aging. No one is talking about what a gift it is it to allow ourselves to be right where we are supposed to be. Lines of Beauty is the celebration of aging naturally, and gracefully. It’s about embracing growing older instead of dreading it. Lines of Beauty is a conversation. 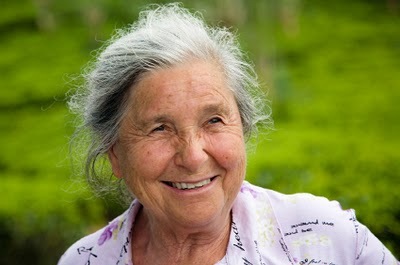 I hope you will share your thoughts, photos, and the stories that you have about the beauty of aging.